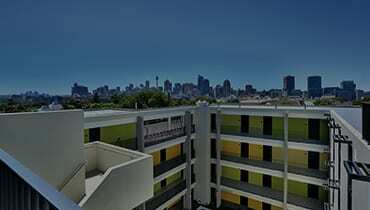 Urbanest Glebe sits in a boutique location offering just 185 exclusive twin share and private studio beds directly opposite the main University of Sydney Campus in the leafy suburb of Glebe. 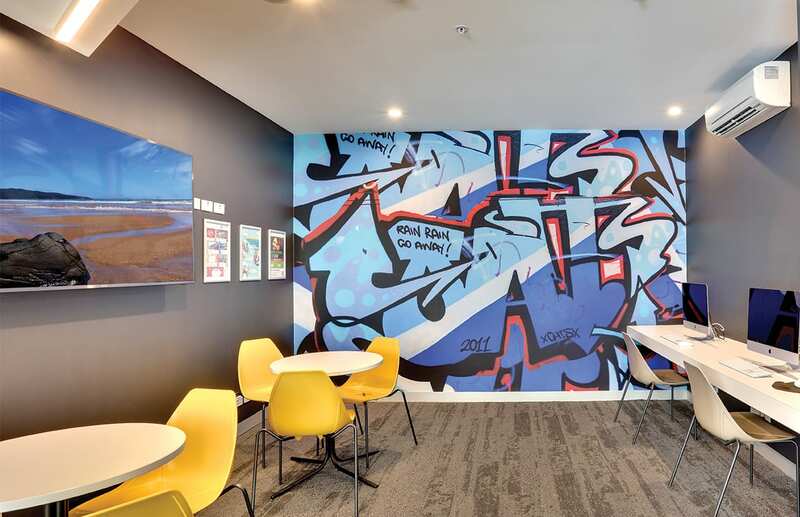 A 5 minute stroll to the University of Sydney and an easy walk to UTS and the Broadway Shopping Centre, urbanest Glebe offers high quality accommodation with the perfect balance of amenity and location. 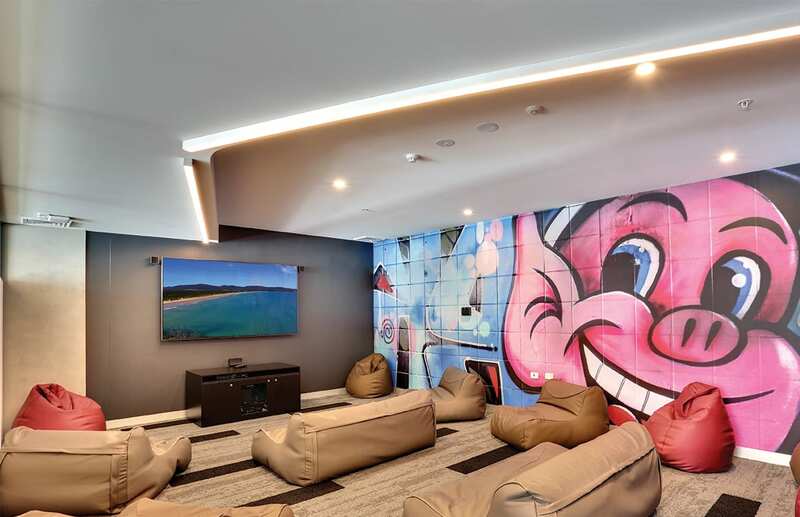 Exclusive boutique property located in a quaint leaf-lined the street of Glebe. 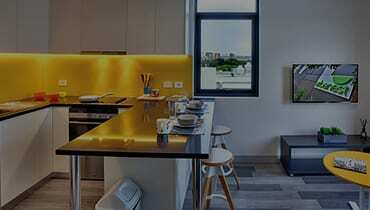 Each of the studios comes with a stylish kitchenette with modern appliances, allowing you to cook to your schedule. Outdoor BBQ facilities in the courtyard of the property for you to enjoy a BBQ with your friends. Find out what current residents are saying! 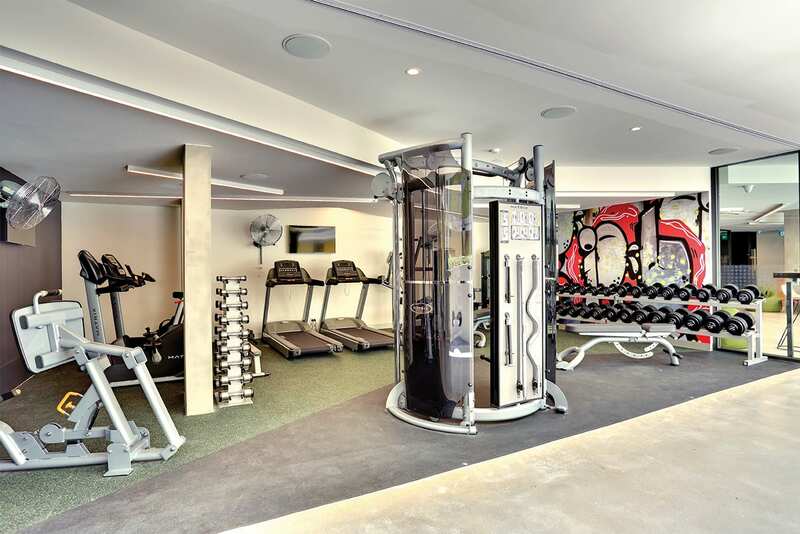 How to I get to Urbanest Glebe? 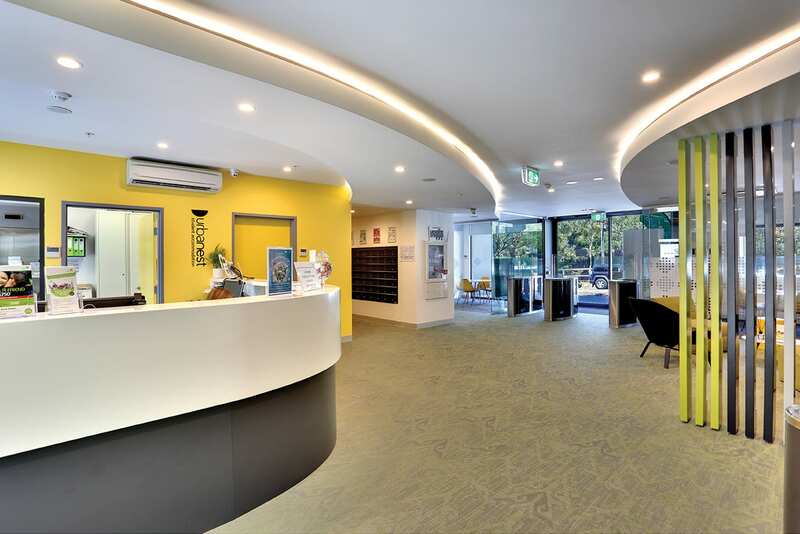 The nearest train station to Urbanest Glebe is Central Station, which is about a 5-minute taxi ride away. If you would prefer to take the bus from Central Station, you can take Bus 412, 413, 436, 438, 439, 440, 461, 480 or M10 from Stand M at Central Station, Railway Square. 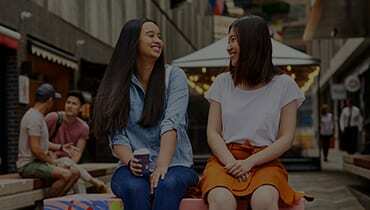 The bus stop closest to urbanest Glebe is on Parramatta Road near University Ave (Stop 205019). From the bus stop to urbanest Glebe is about a 1-minute walk. To plan your journey, please click here. If you are arriving in Sydney at either the domestic or international airport terminal you can catch the T2 Airport Line Macarthur to City via Airport or Sydenham service to Central Station. From Central Station, you can then take a cab or take the bus (see above for more details). The trains depart every 6 to 9 minutes during weekday peak hours and approximately every 15 minutes during the weekends. For more details click here. If you’re arriving by car you can park right outside the building on Arundel Street. 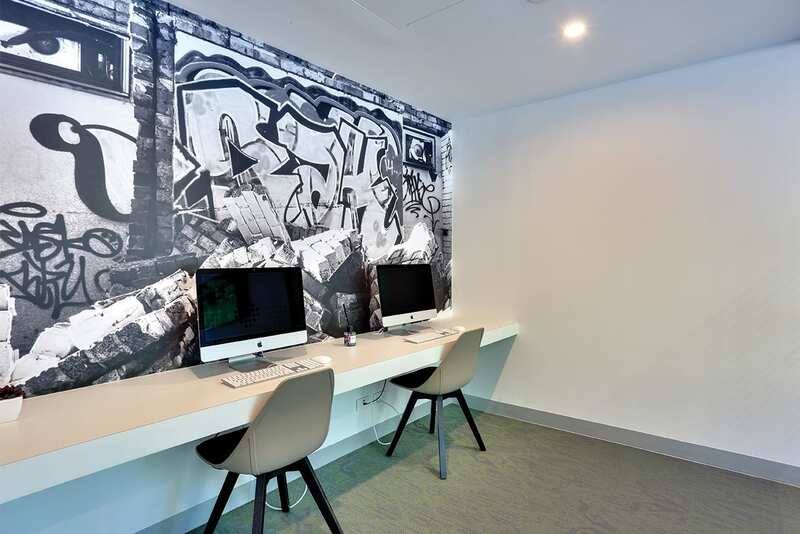 Is there car parking available at Urbanest Glebe? Unfortunately not. Due to planning conditions, local council car parking permits are not available to Residents. 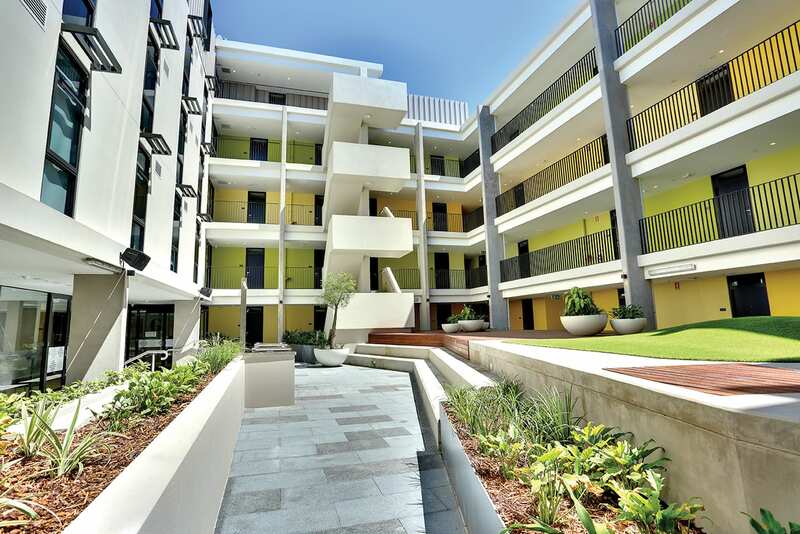 Urbanest at Glebe is located close to so many public transport options you won’t need a car. 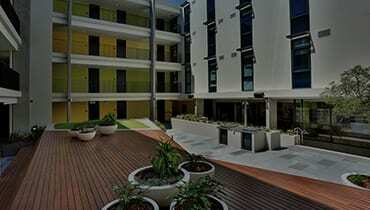 How many students live Urbanest at Glebe? 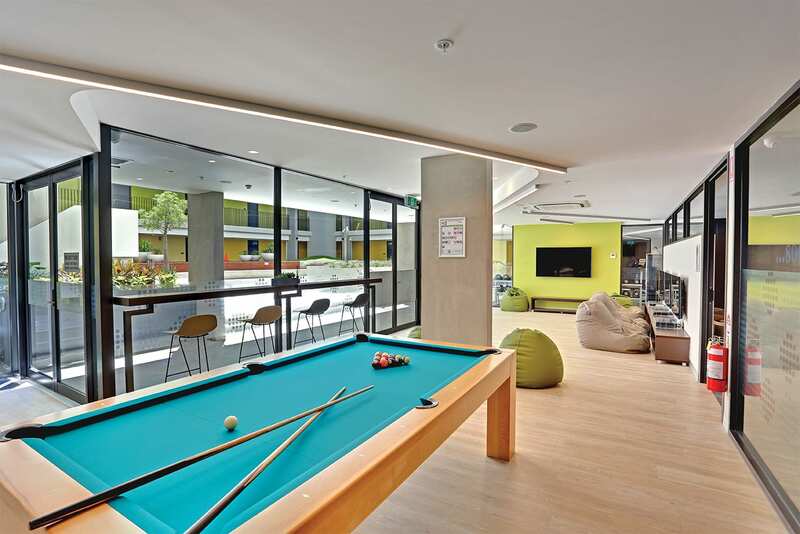 Urbanest at Glebe is a boutique style property that boasts a lovely community feel with a maximum of 185 students living here at any one time.